Comment: Repair/reinstall drapery rods on15ft tall curtains. Comment: This is a small job. Request new grommets be installed on an existing divider separating a bedroom and kitchen in a mobile home. Divider is about 6 ft long, plain brown.We could buy a new divider with grommets already installed. Comment: The cloth holding the blinds together is shredded and needs replacing. Comment: I would like to get an estimate for installing drapes in multiple rooms. Comment: I have patio door blinds but I canât insxxxl them. 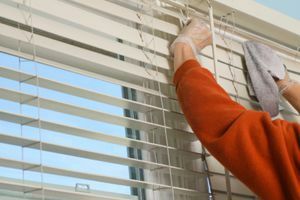 Oklahoma City Window Treatment & Covering Companies are rated 4.72 out of 5 based on 126 reviews of 15 pros. Not Looking for Window Coverings Contractors in Oklahoma City, OK?